I get to start the Jessie thread!! 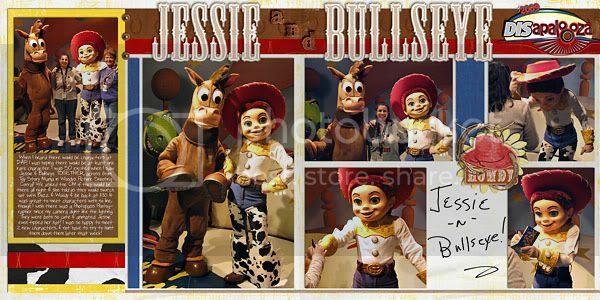 These photos were taken in Frontierland at Disneyland. Software: I have not really gotten into Digi-Scrap as of yet. I just used various card stock and scraps, and I printed "Jessie" out onto cardstock and used a stencil for the buulseye, horse, and stars. Last edited by DezlovesDisney; 08-28-2010 at 02:05 AM. Reason: Forgot something! These photos were taken on Paradise Pier. Re-created for weekly challenge #85. Created for speed scrap #57.